Attila Hildmann is a 33-year-old self-taught vegan chef and author. He’s dedicated to promoting veganism as a means to drastically improve one’s health, to whatever extent you’re willing to incorporate it into your diet. A well-known fitness and health figure in Germany, Attila has revolutionized the second-largest diet book market in the world with his groundbreaking ideologies. Attila’s path to veganism began with his father’s sudden death due to a heart attack. Attila learned as much as possible about healthy eating and fitness, changed his own lifestyle to lose 77 pounds and drastically lower his cholesterol, and shared his personal and studied knowledge with the world. Attila has since written several cookbooks including Vegan for Fun and Vegan for Fit to highlight the delicious and creative meals available while maintaining a vegan lifestyle. While we think it’s easy to incorporate family and kid-friendly vegan recipes into your repertoire, we know it can be a struggle to get the kids on board. Try Attila’s terrific tips for getting your kids involved (and interested) in what they eat! Supervise (safety first! ), but let your kids help you in the kitchen. Involve them in basics like cutting veggies or peeling oranges. That way they get a feeling for real food. Make it fun to eat healthy. Do your kids love burgers, fries, and an ice cold milkshake? You can prepare delicious, vegan versions of their favorites! Don’t preach! Never force your kids into your eating beliefs. Let them choose. Once they start eating healthy, they’ll understand how good it is to eat a delicious, well-balanced vegan diet. No need for pressure! Baking is a great way to get your kids to love vegan foods. If you substitute butter with organic margarine or whipped cream with soy whip, they won’t even be able to tell the difference. And kids love to cut out cookies and knead dough for cakes and cupcakes. It’s all about the look: make it attractive to eat veggies. 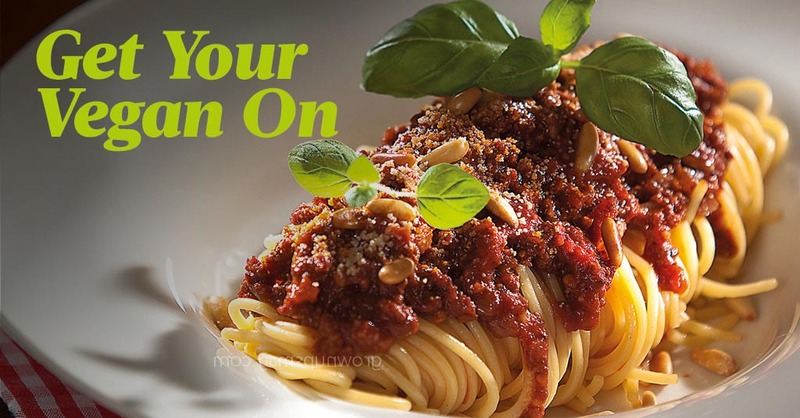 Your kids love pasta dishes? Get yourself a spiralizer with which you can make delicious crunchy pasta out of zucchini, beetroot, or carrots. Throw away processed sweets like gummy bears, cookies, or candies, and offer healthy alternatives like sundried fruits, granola bars, roasted nuts, and kale chips. The earlier they start to eat it, the healthier they will be in the future! Worried about nutrients? Not a problem. Stay in touch with your family doctor and keep an eye on Vitamin B12, Vitamin D, iodine, and iron levels. Don’t fear it. When we think of vegan children, most of us get freaked out because we think we‘re doing something bad to our kids. But fruits, veggies, nuts, quinoa, and other healthy grains are rich in protein, are healthy, and are pure power foods. Shouldn’t we be freaking out about the fact that many kids eat junk and fast food and drink sugary beverages? We do face a huge obesity problem in this country and that certainly doesn’t exist because our kids eat too many veggies and quinoa! Want to get started? Attila has four recipes to get you and your family on board. Your recipes always look so good! I tried tofurkey today and it was really good. Happy Thanksgiving! Oh yum!!! I am loving these recipes! There are some great, practical tips on here as well as yummy recipes. Thank you! I’ve never tried a vegan recipe, but I’m totally open to it. Those pumpkin fries sound so tasty! I tried to incorporate as much vegan lifestyle as i can in my lifestyle.